Last week I finally attended my first Pride event and I definitely chose the right one to go to with Hull hosting the first ever UK Pride, Pride in Hull. 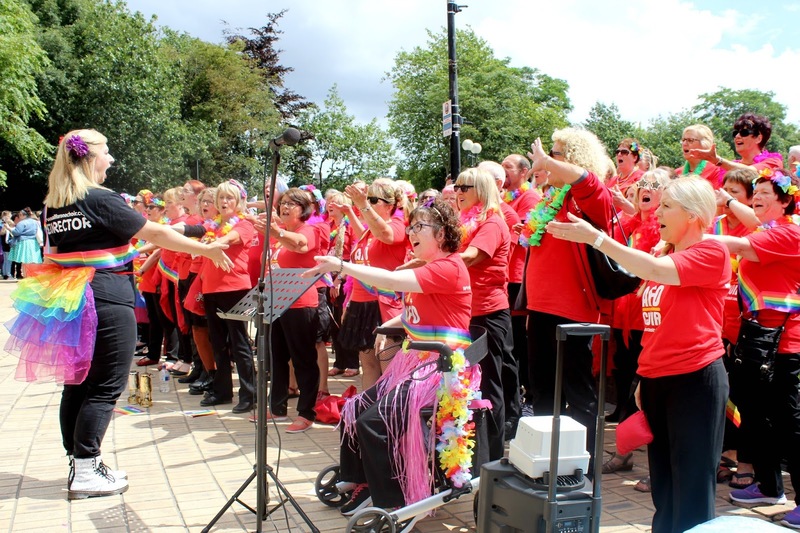 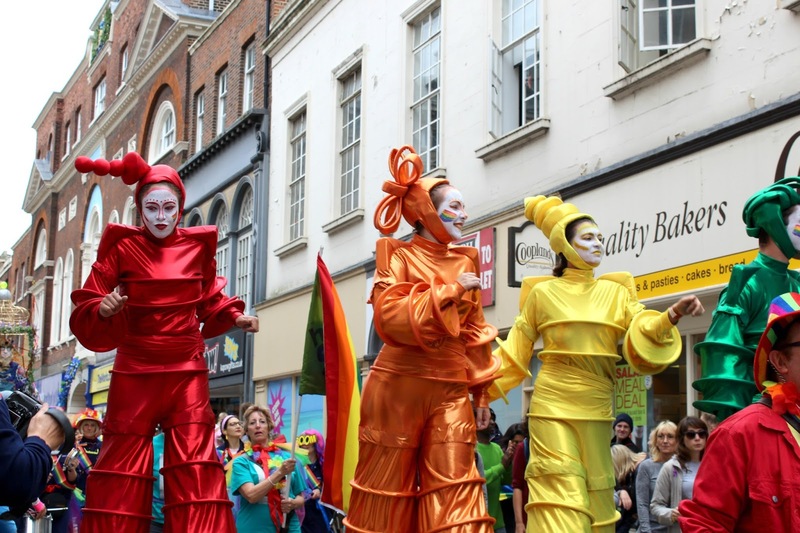 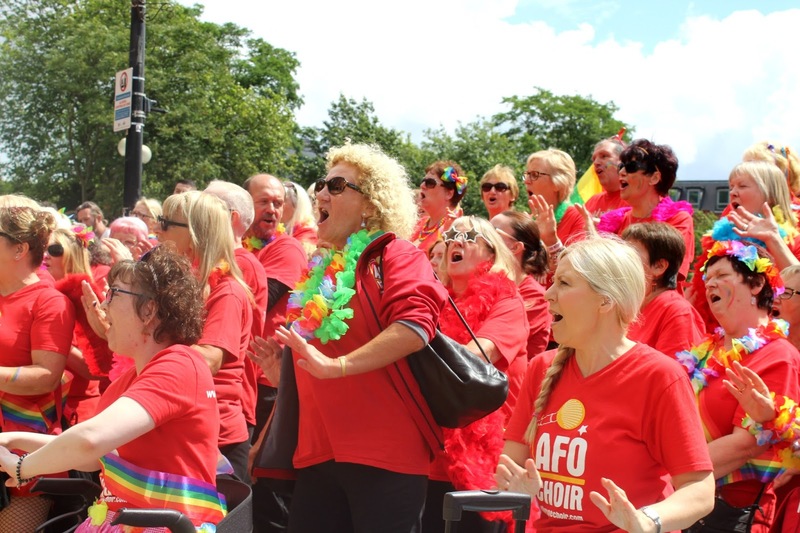 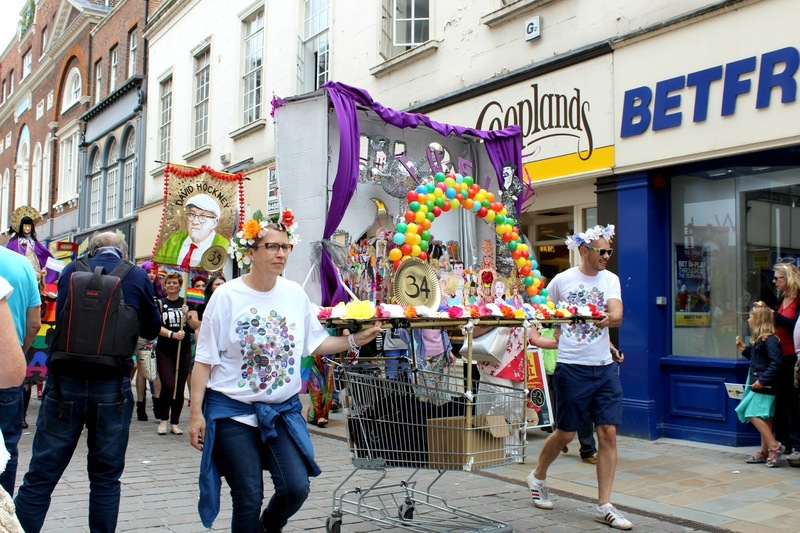 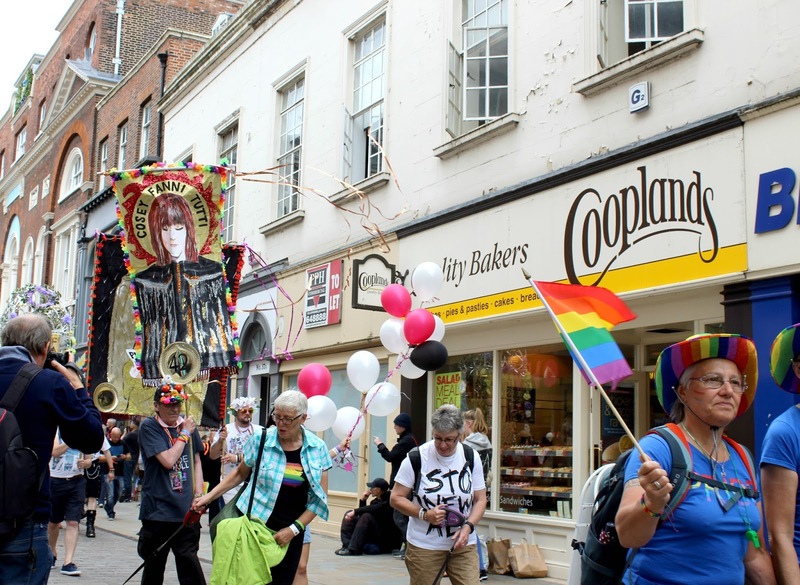 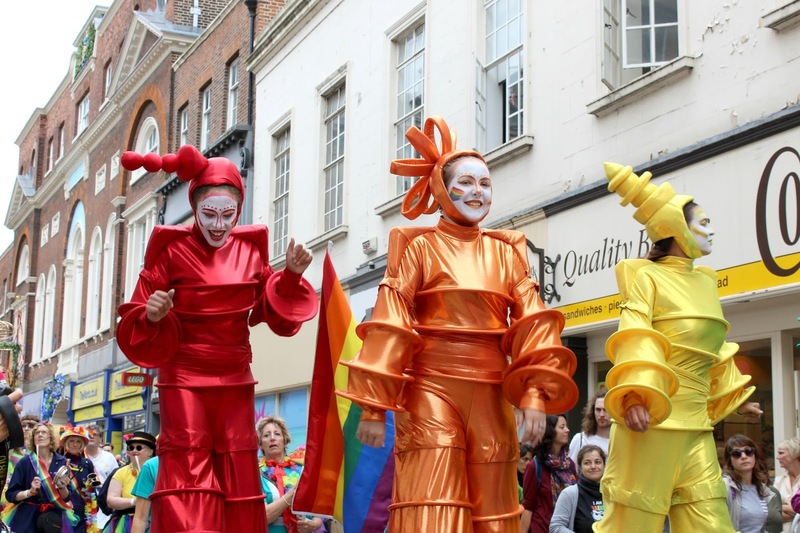 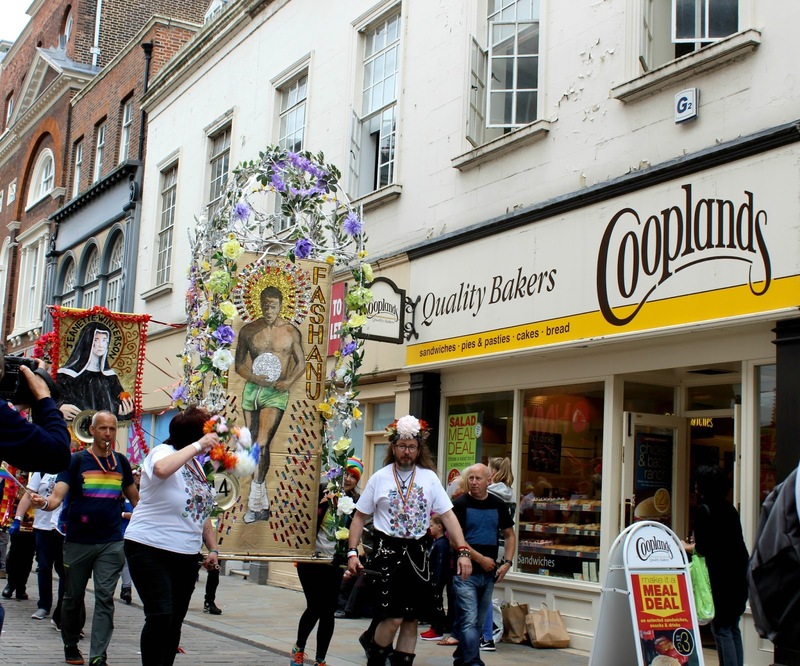 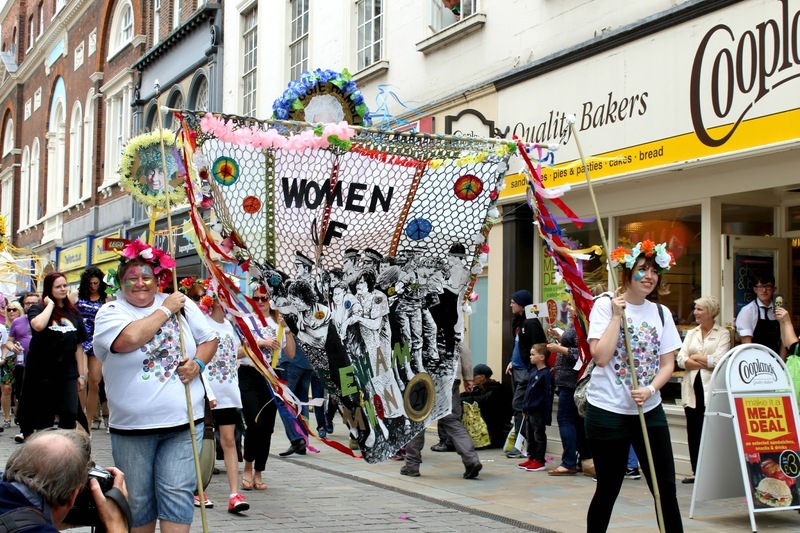 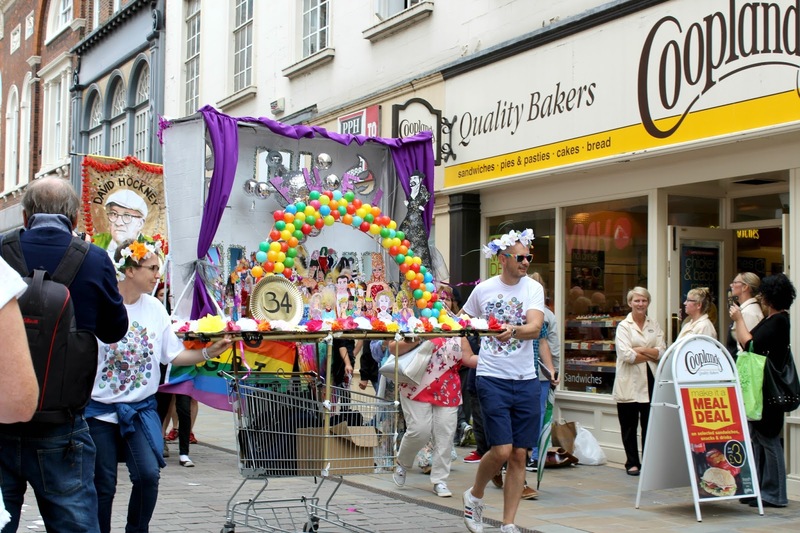 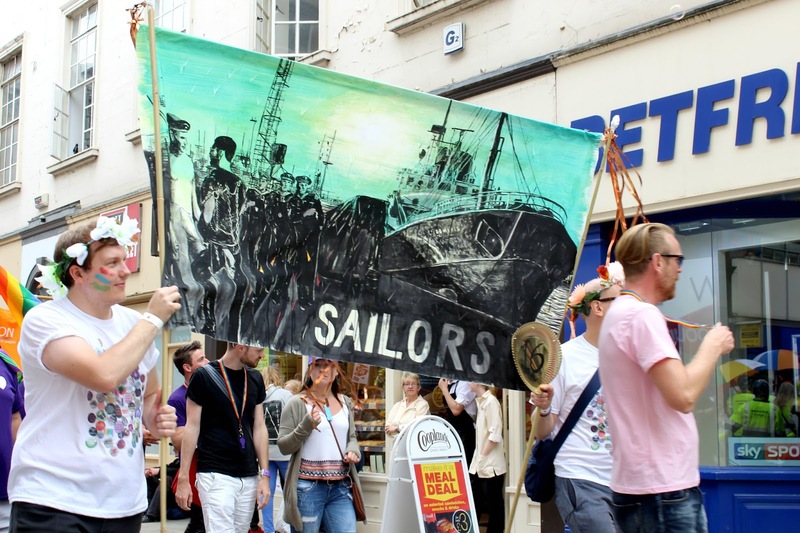 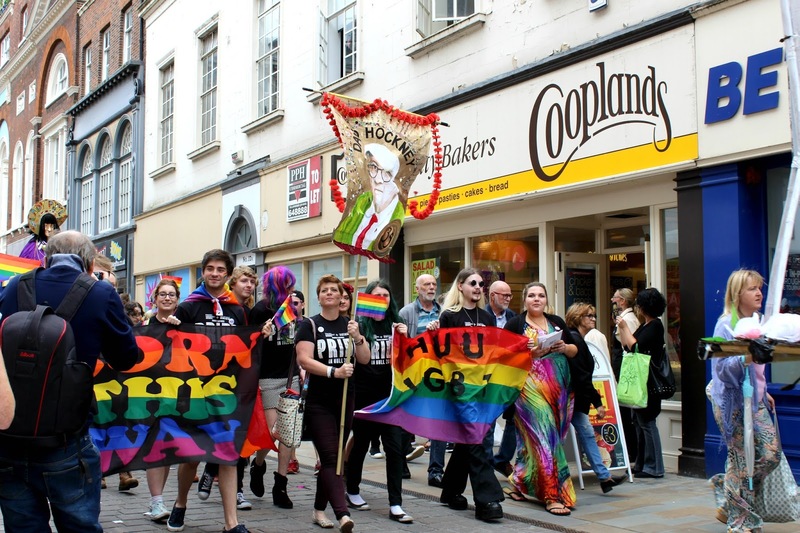 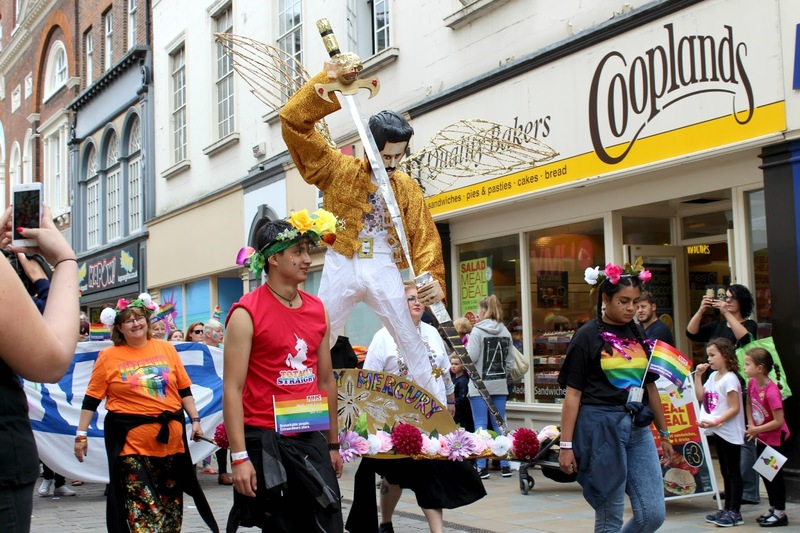 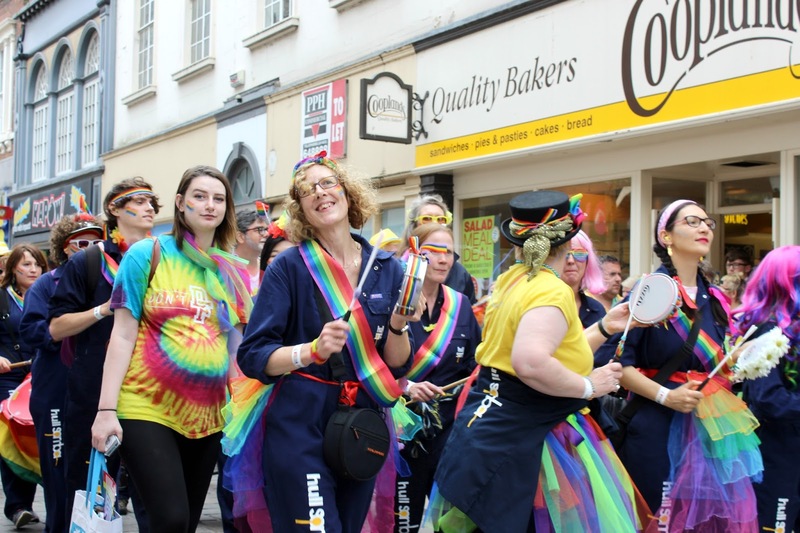 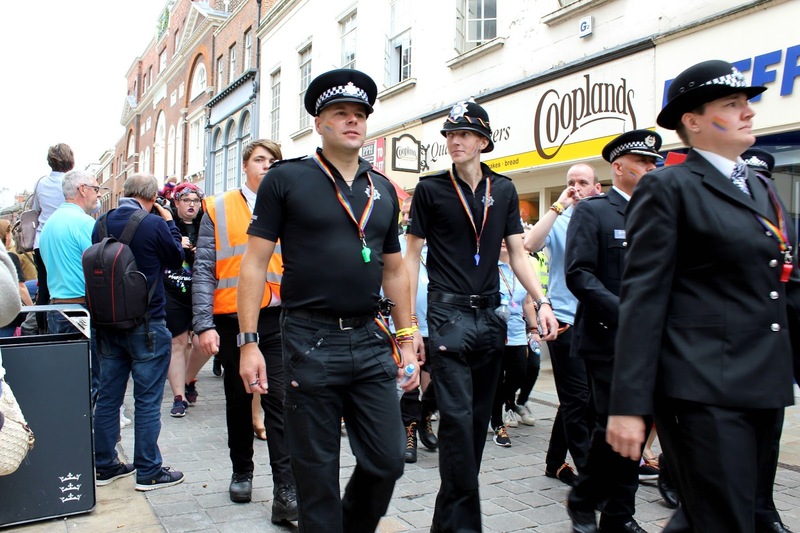 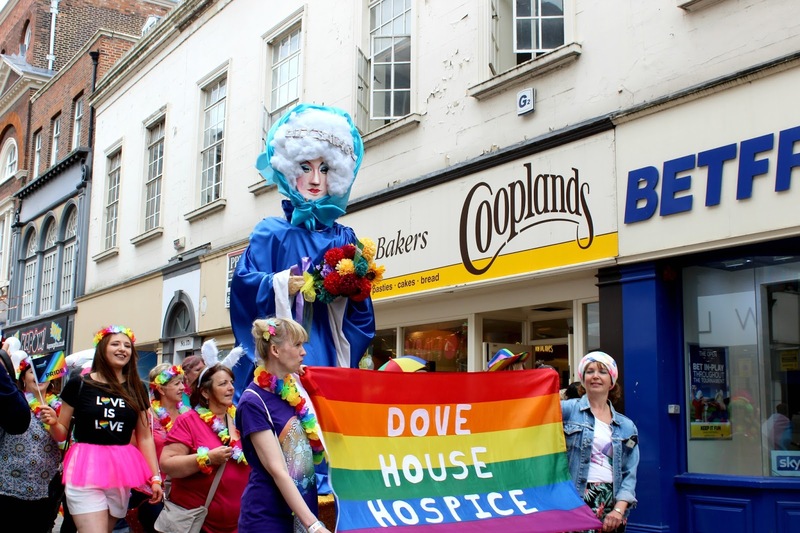 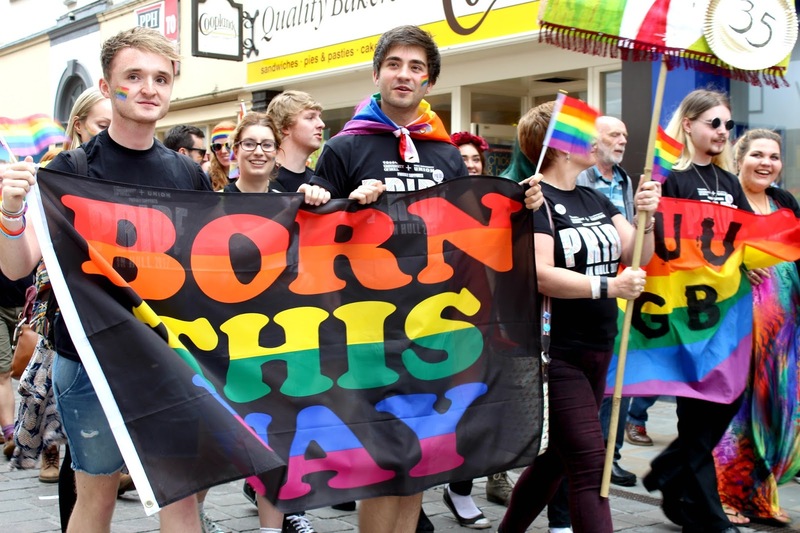 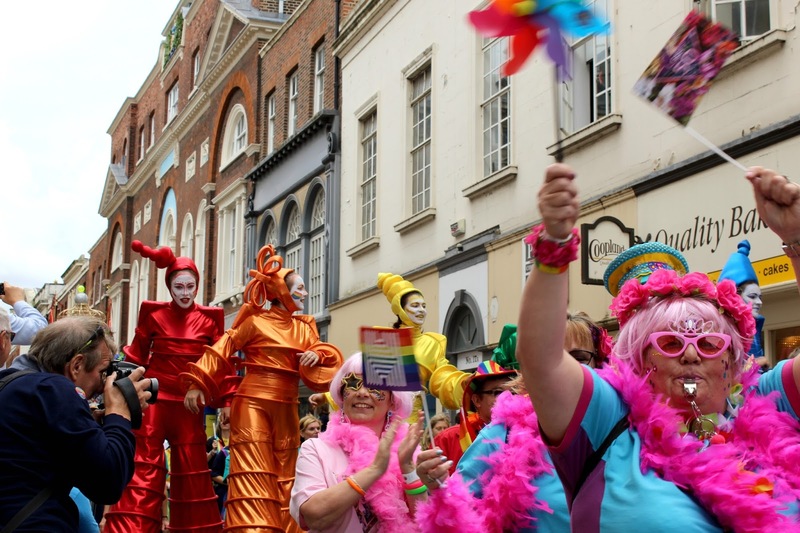 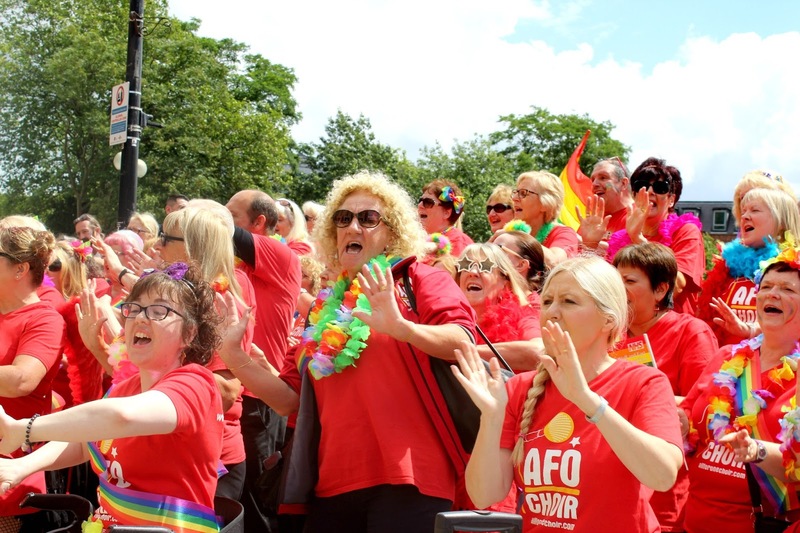 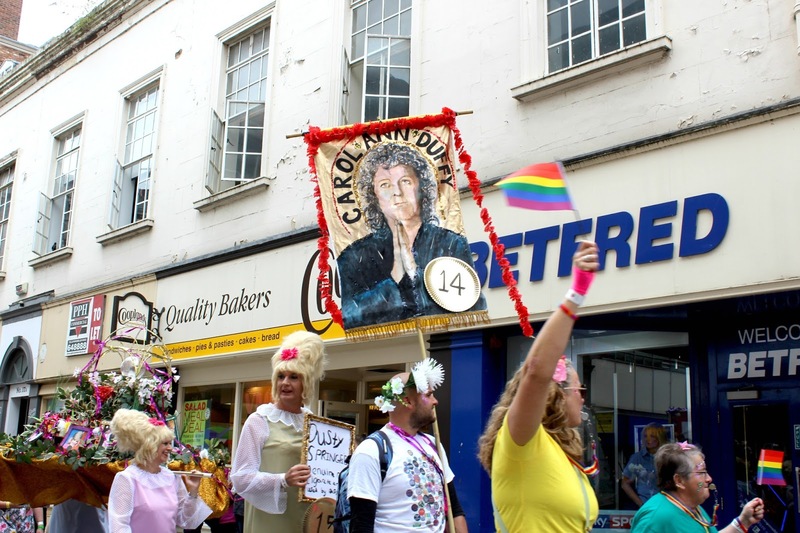 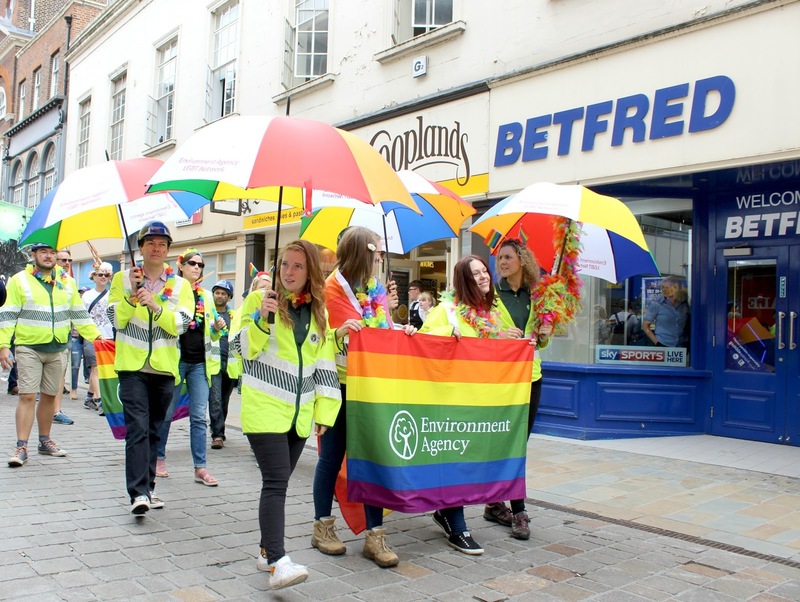 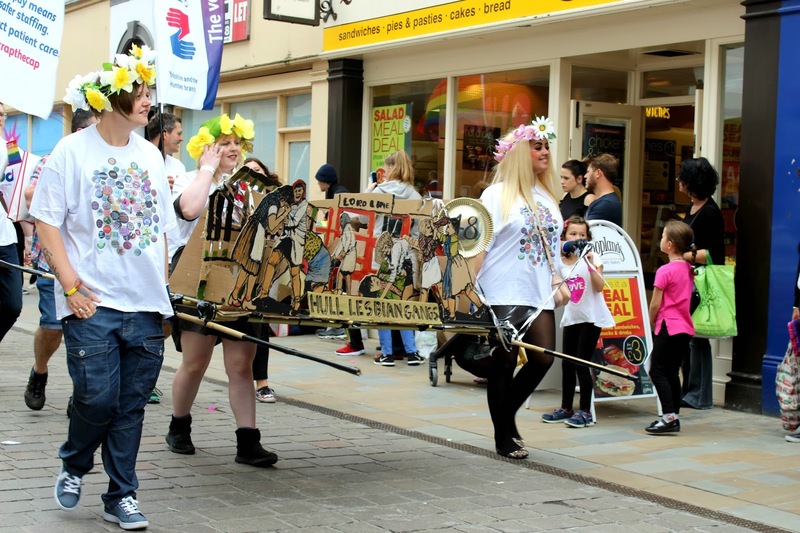 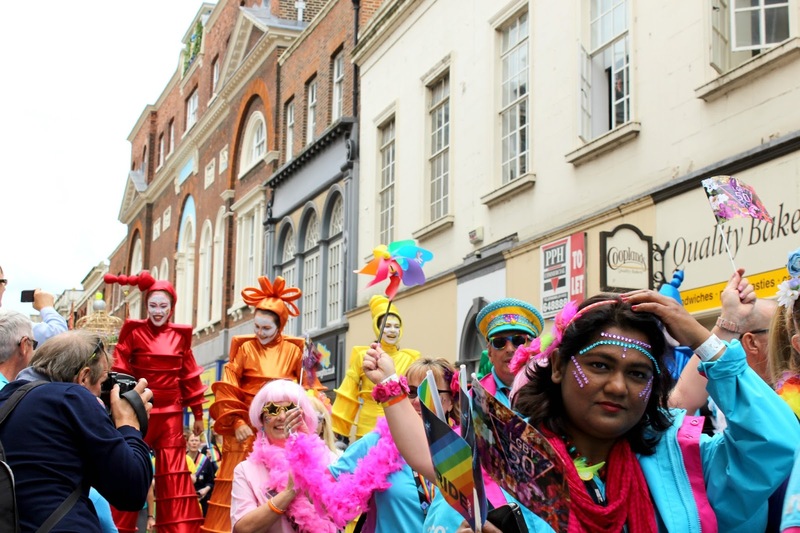 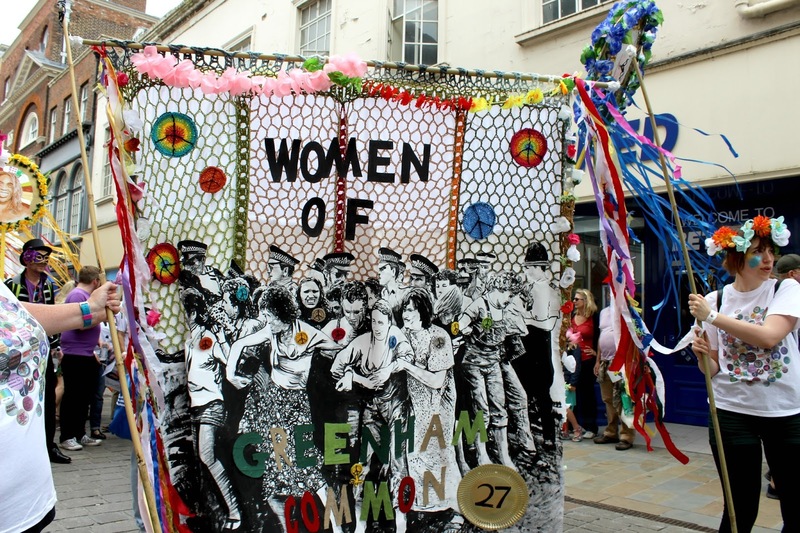 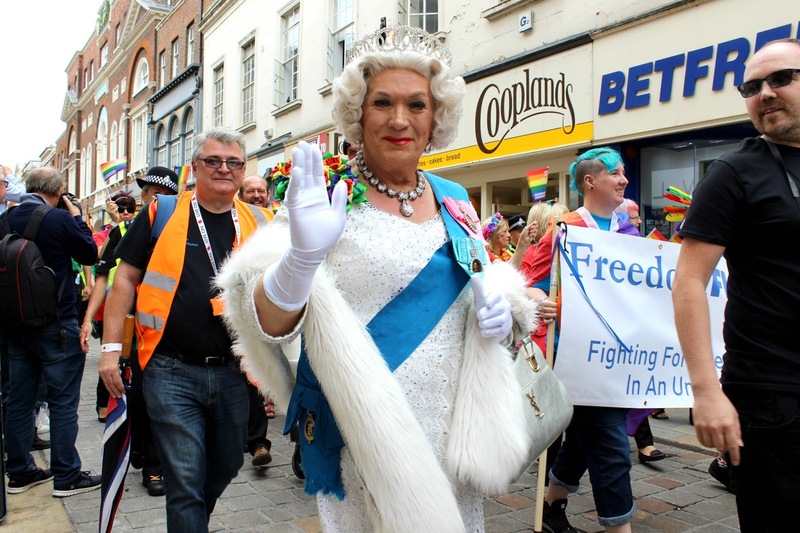 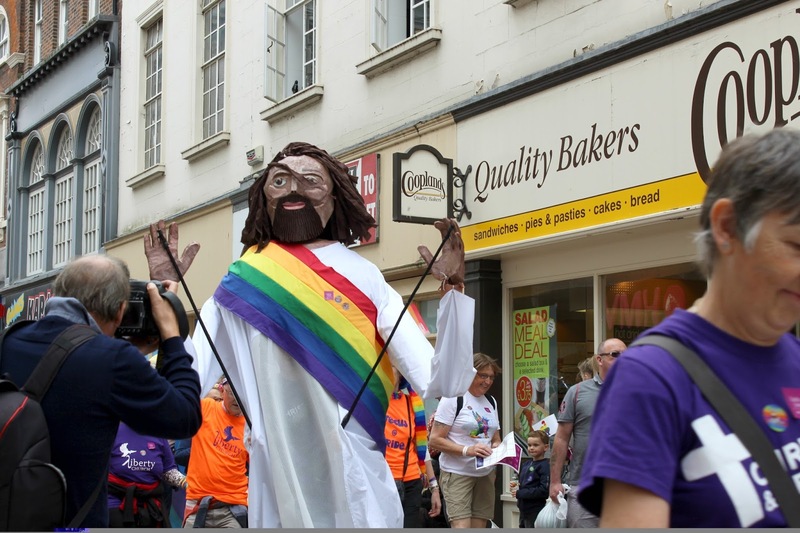 As well as there being the annual parade there has been so much going on in Hull for Pride, including workshops, photography exhibitions and independent cinema nights. 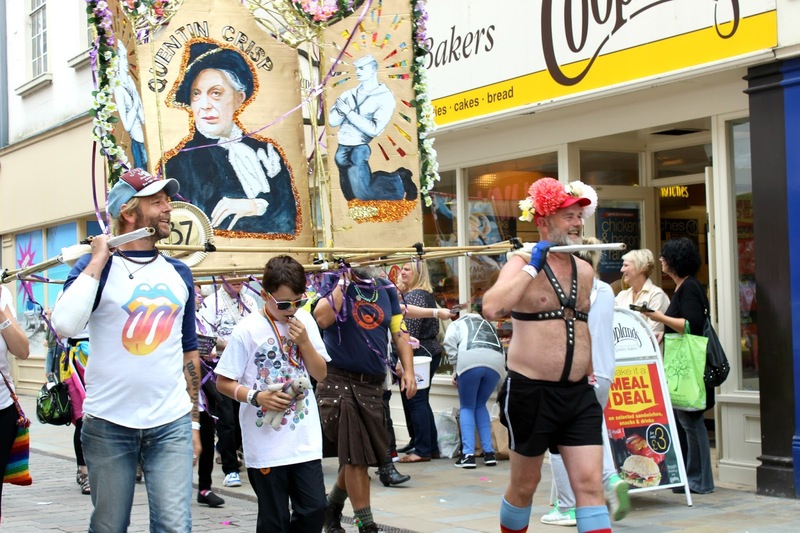 I certainly picked the right time to move to Hull with it being the UK City of Culture! 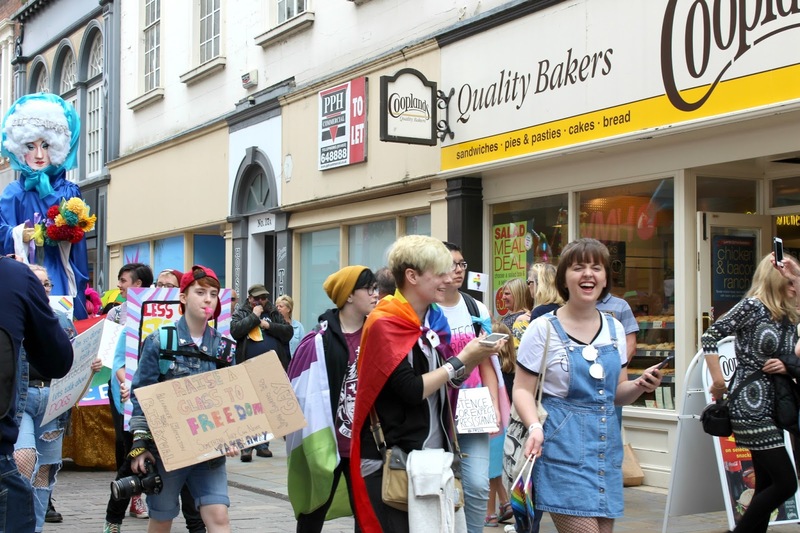 It's only been in the past couple of years that I've really figured out that I'm bisexual/queer so before now I hadn't really been that involved with the LGBTQ+ community and Pride was definitely the best way to dive head first into it! 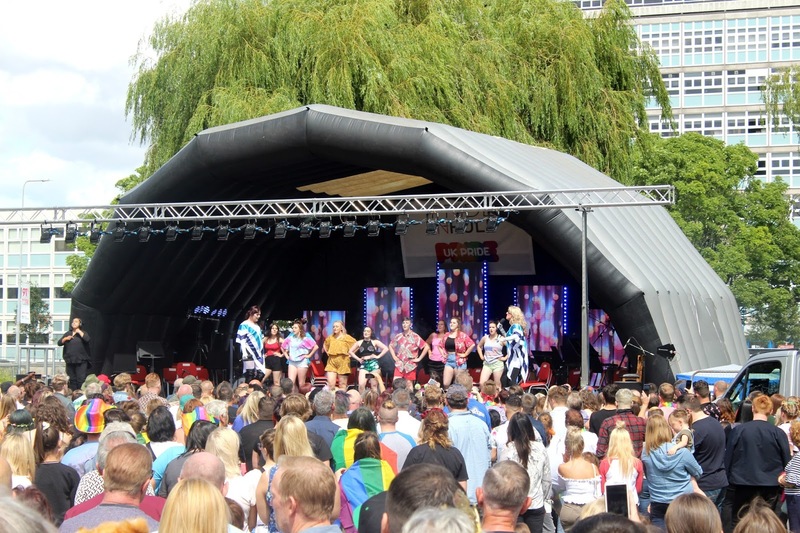 I had no idea what to expect from the day, there was a parade followed by a mini concert in Queen's Gardens afterwards with some throwback performances from Marc Almond, Cleopatra and B*Witched! 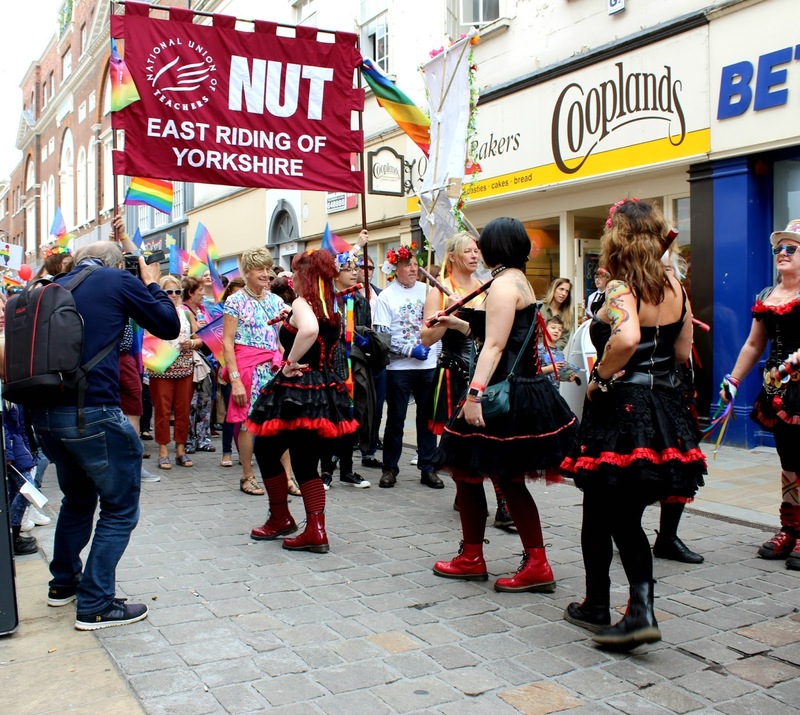 There were also some incredible drag acts and a performance from Ruby Red, a group of bold women who you might remember from Britain's Got Talent. 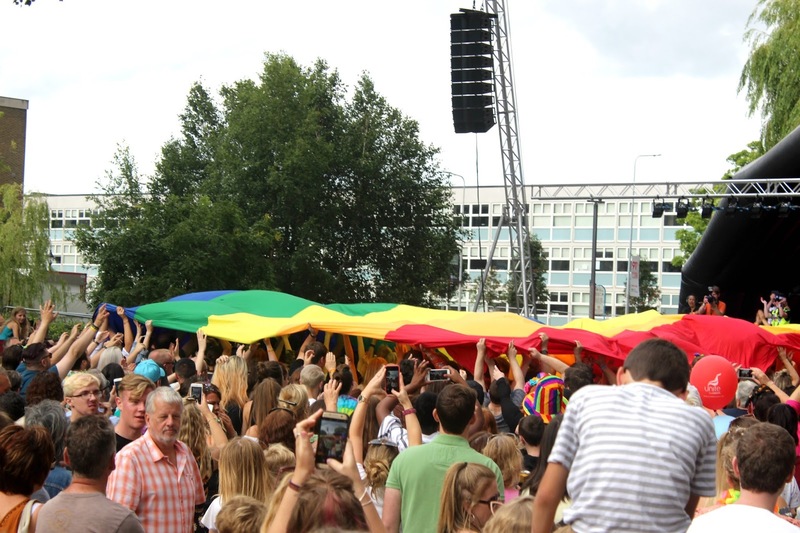 It was an incredible day! 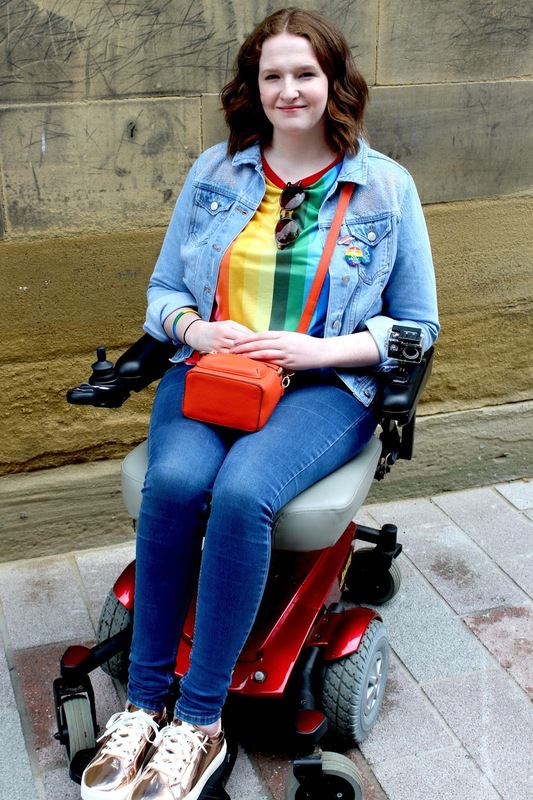 I took a ton of photos on my new DSLR as well as filming from the camera that usually attaches to my powerchair so between them two I think it gives you a good idea of how fun a day it was. 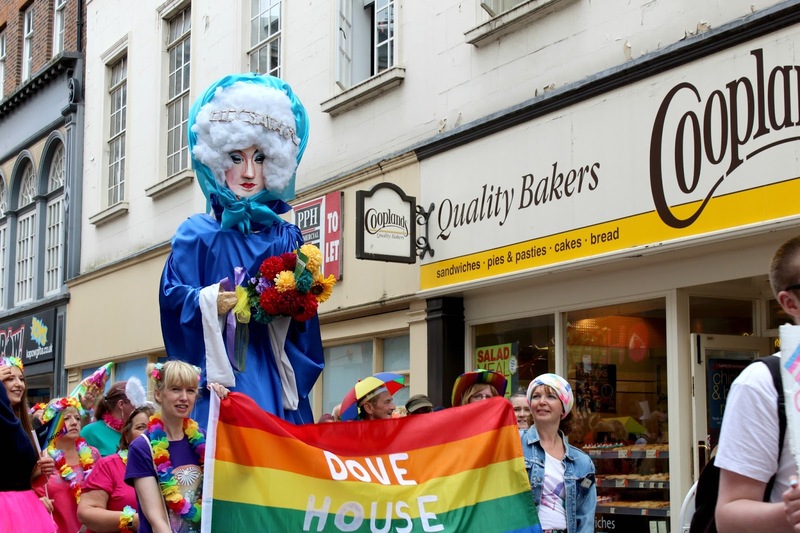 I loved being in such a free and fun environment, everyone was so happy and confident and it really rubbed off on me. 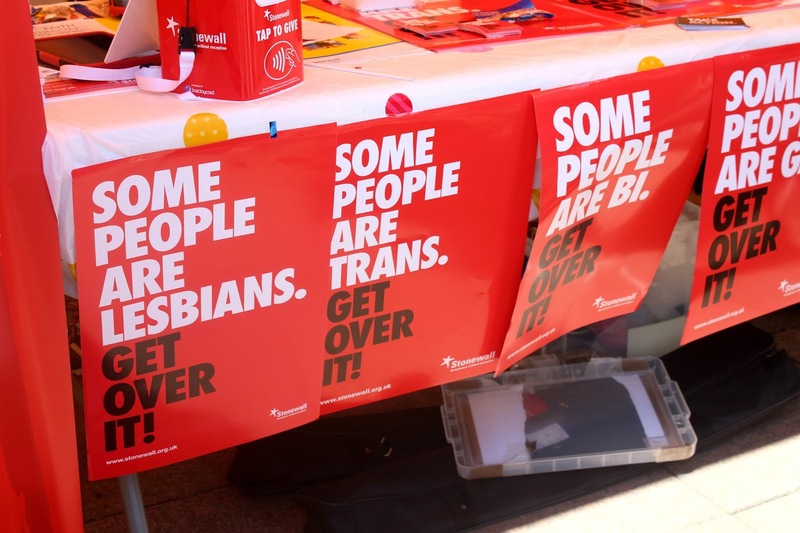 It confirmed exactly what I knew about my sexuality as well, it felt like a space I wanted to be in a lot more. 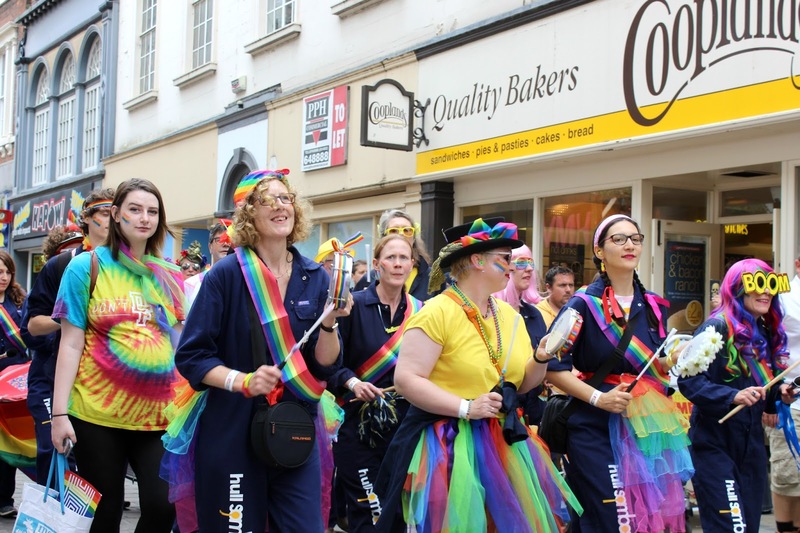 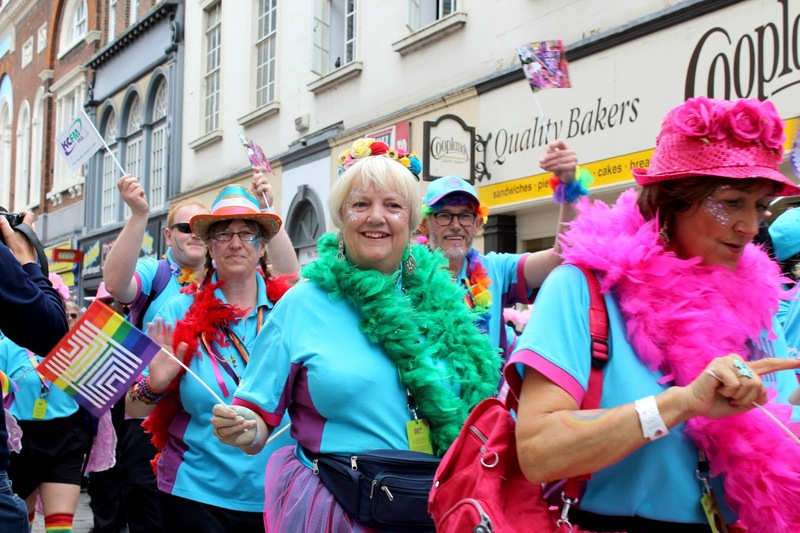 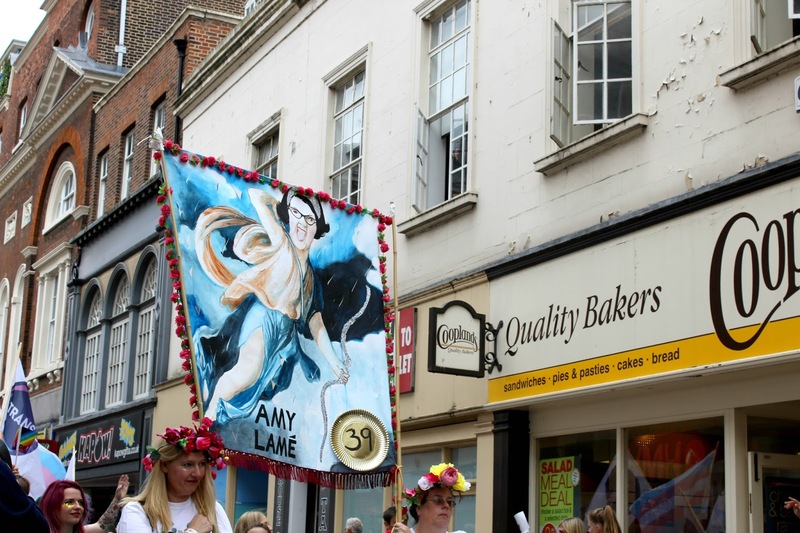 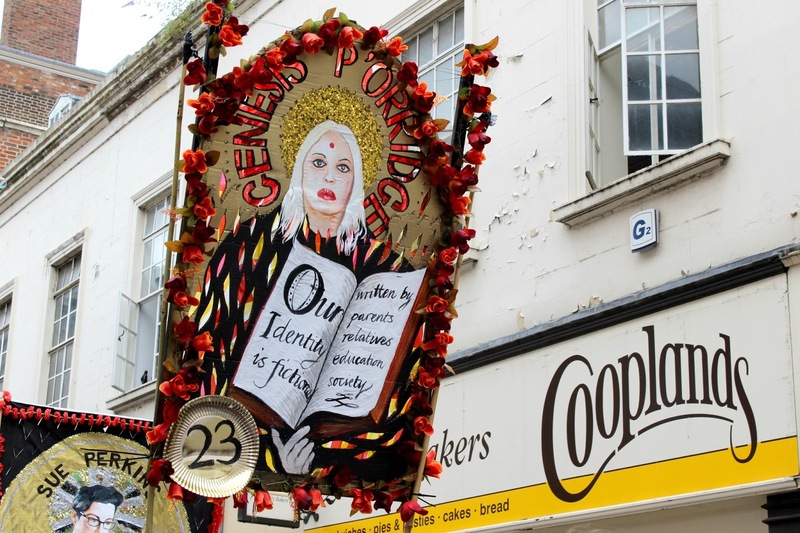 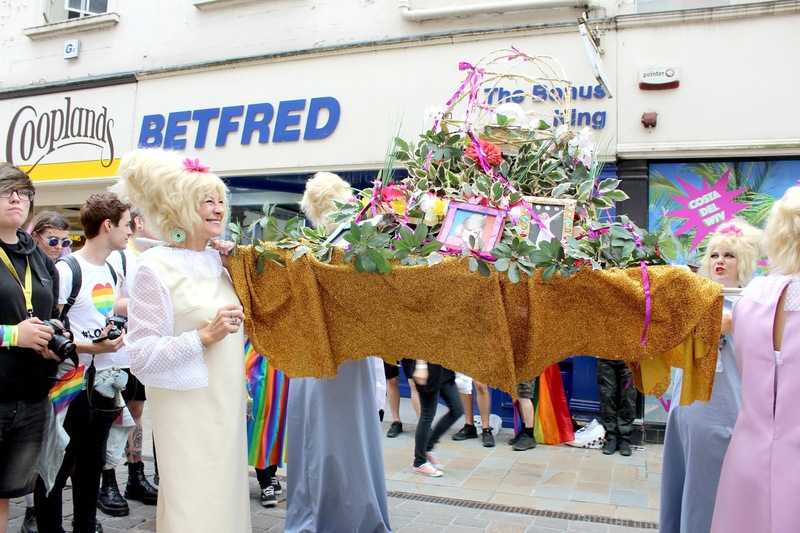 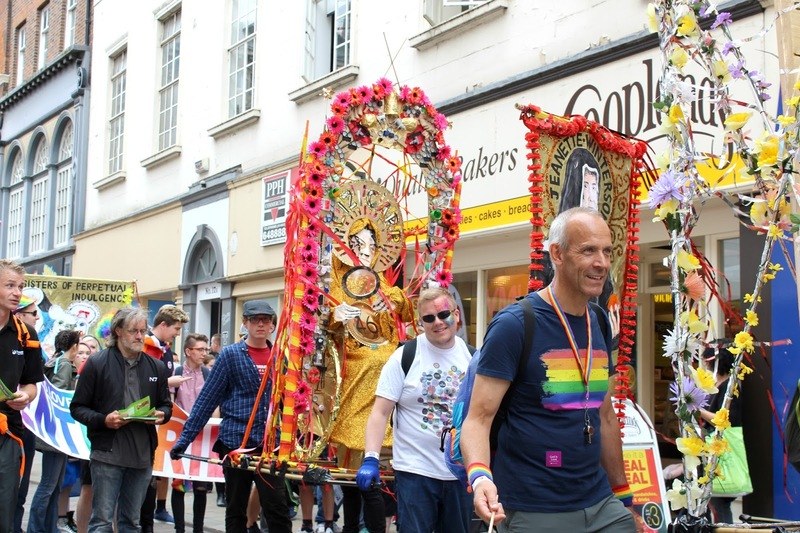 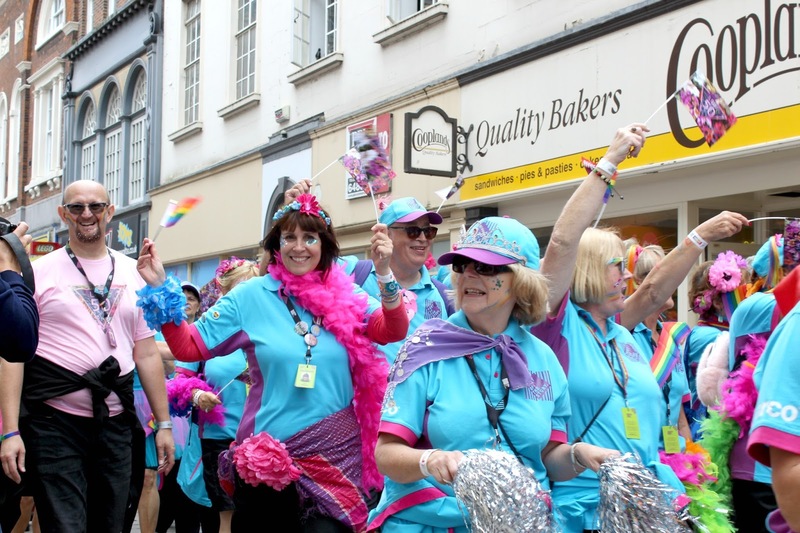 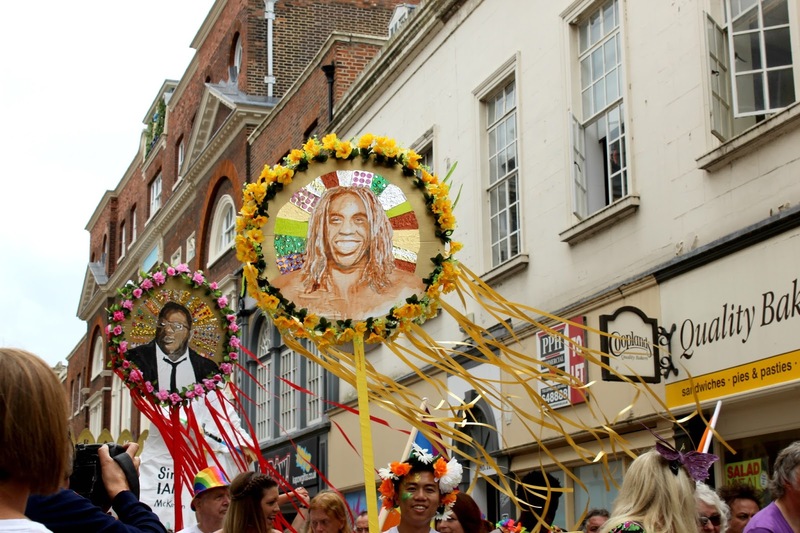 The theme of the parade this year was '50 Queers for 50 Years' which celebrates key LGBT+ figures including Freddie Mercury, Sir Ian McKellen, Tom Daley, Sue Perkins, Lily Savage and more! 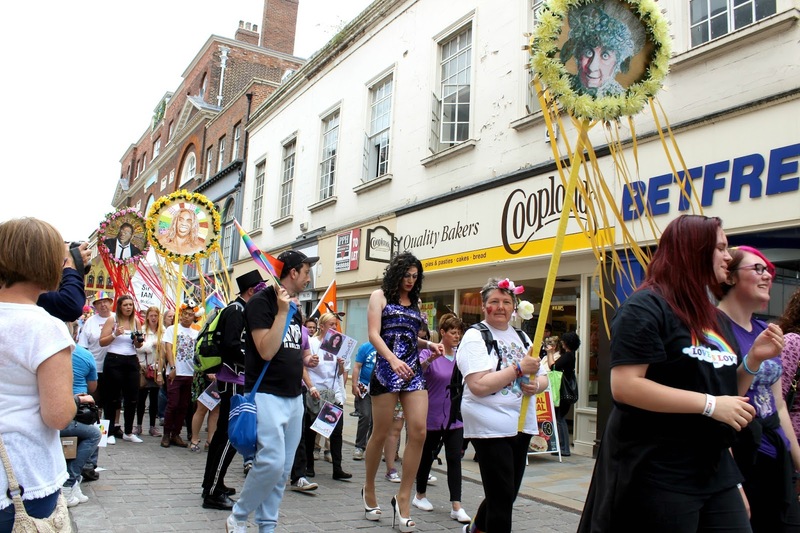 It also marked 50 years since the partial decriminalisation of homosexuality so it felt like a special time. 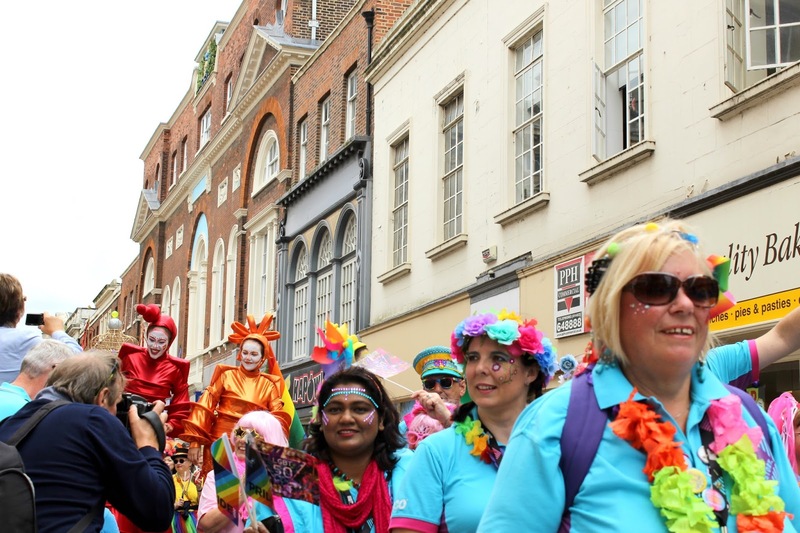 My favourite part of the parade was the people who stopped, posed and smiled for me so I could take photos. 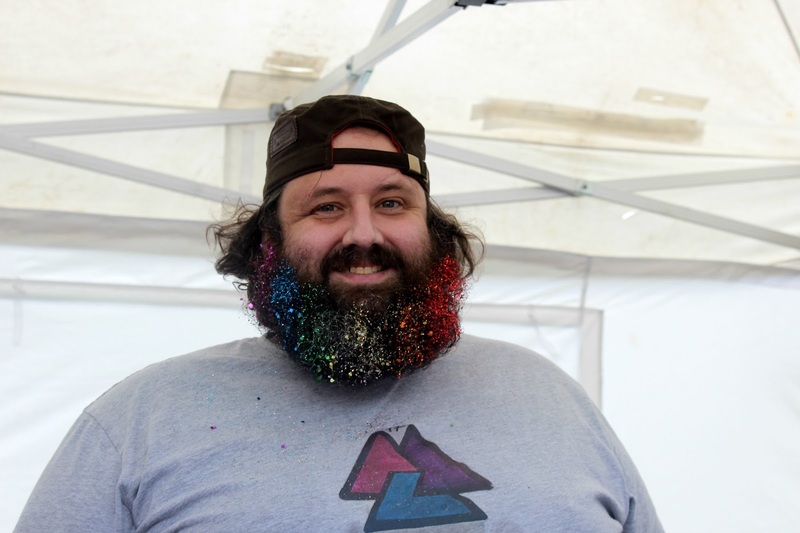 I'd never seen confidence like that and it was so amazing to see such a care free attitude as I was worried about how people would feel about me taking photos! 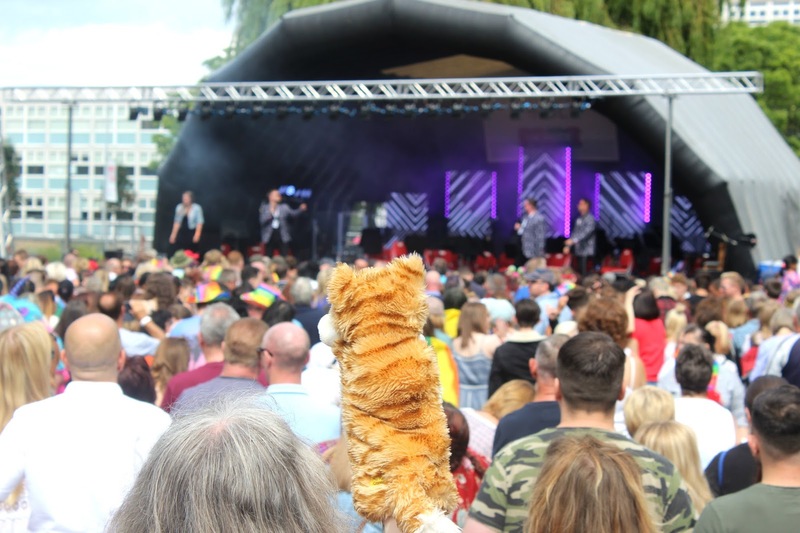 After the parade there was food, stalls and a mini concert in Queen's Gardens with some popular and big names performing. 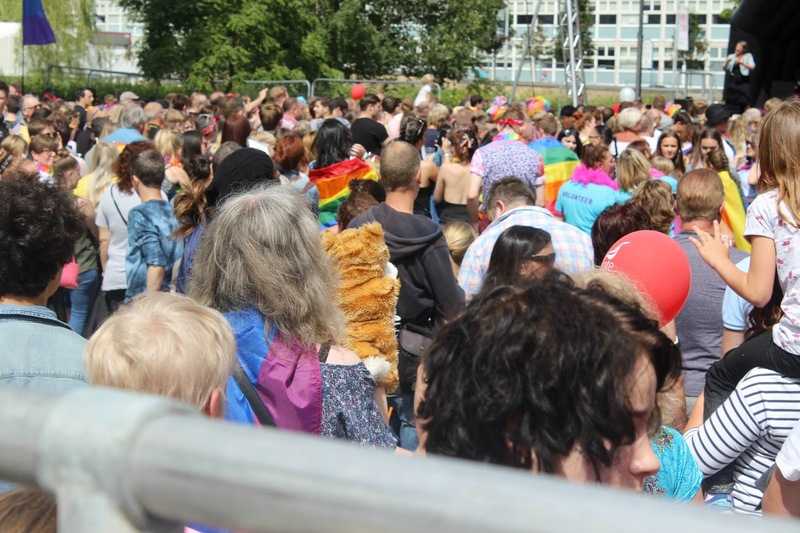 Pride in Hull think about 40,000 people attended this throughout the day, far more than anyone had ever expected! 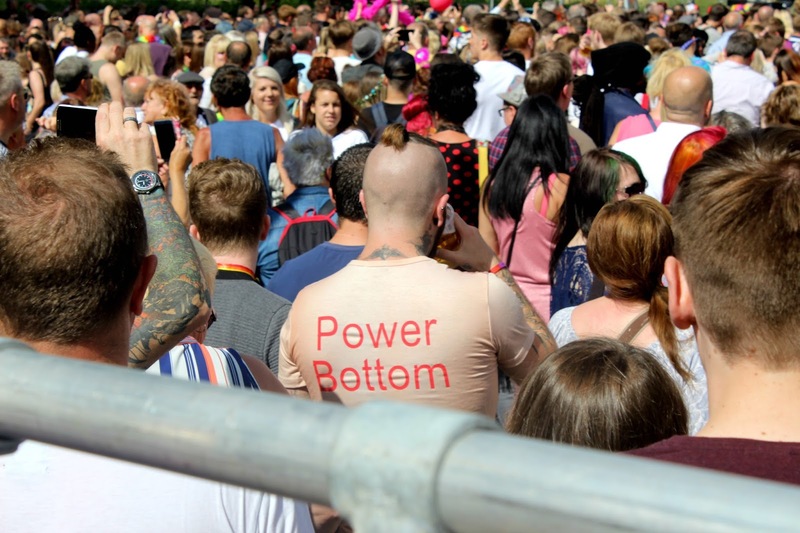 There was a small (and when I say small, I mean tiny) accessible viewing platform so wheelchair users and those who struggle to stand could view the concert, once I had a spot at the front I didn't move all day despite being in a ton of pain because I knew once I got off that viewing platform I wouldn't be able to get back on! 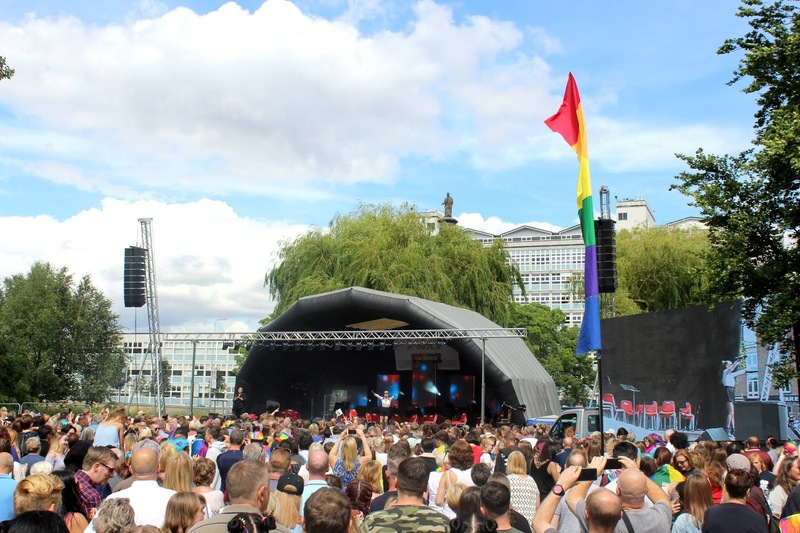 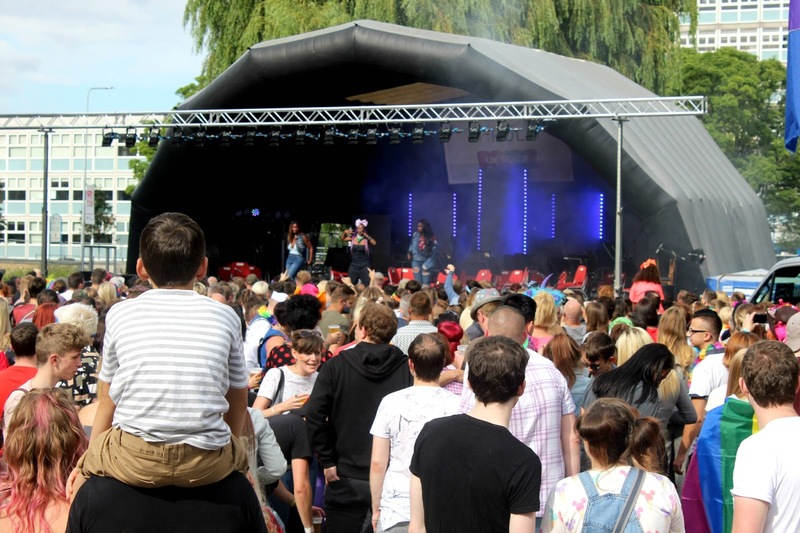 It was sunny most of the day so the atmosphere was really nice as everyone from drag queen's to Marc Almond performed for the crowd. 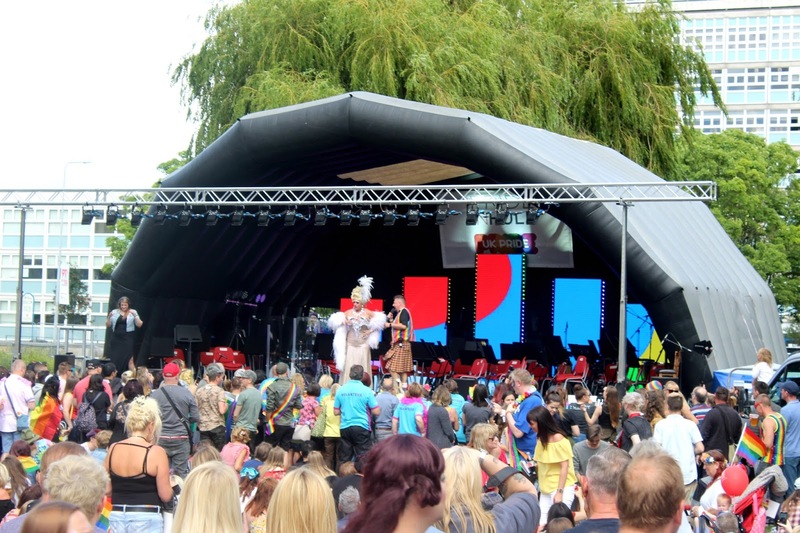 One of my best moments from the day though was watching B*Witched perform C'est La Vie! 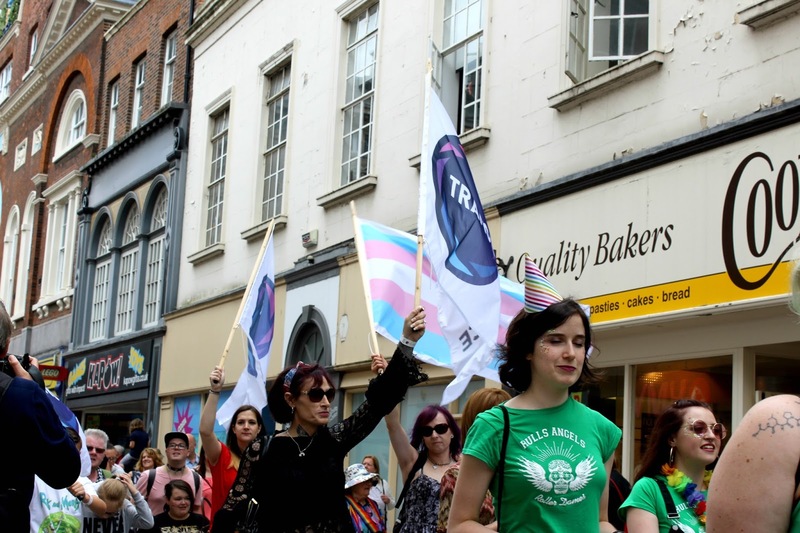 I also had some really lovely conversations with the people sat next to me and around me, me and my partner had just gone on our own so it was nice getting to share the experience with some friendly strangers. 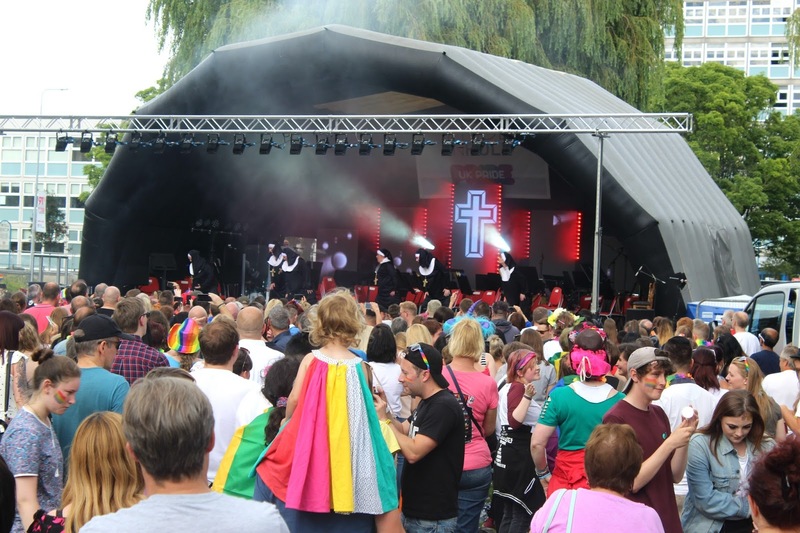 Once B*Witched had performed (hours later than expected) I decided to call it a night, it had been raining for a couple of hours at that point so I was pretty cold and wet! 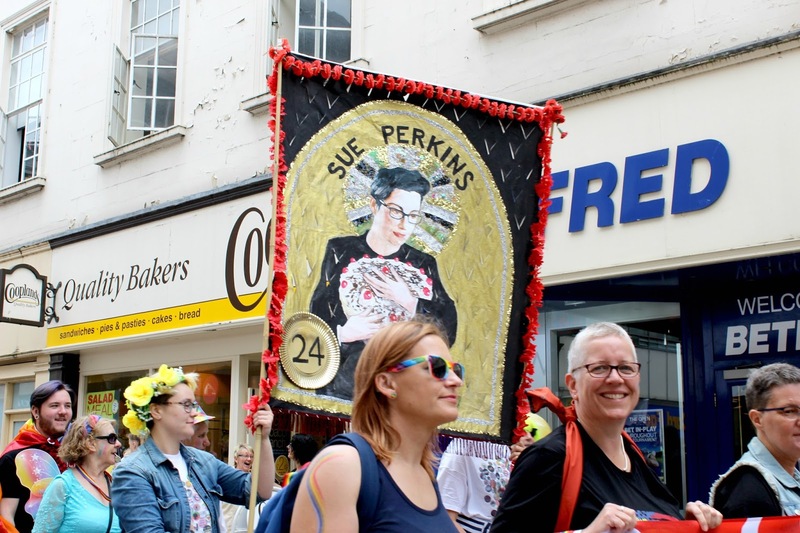 I got chips on the way home and snuggled up in bed after having a thoroughly good day, the perfect end to the day. 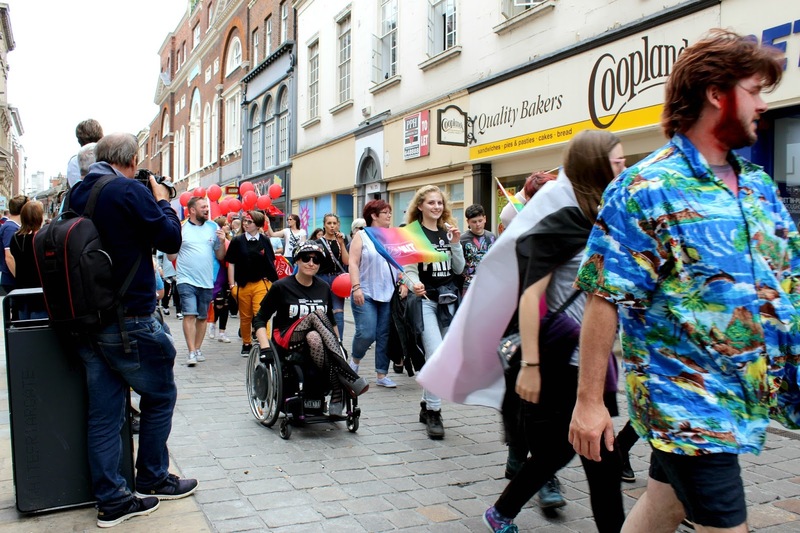 As I said, I also filmed the day on the camera attached to my powerchair which caught my experience of trying to get into town, lets just say that it took me 4 buses to get into Hull city centre! 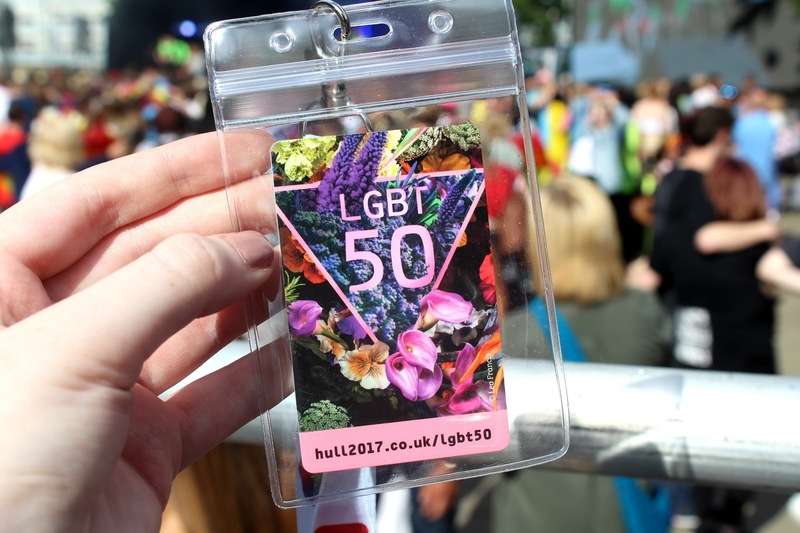 Have you been to any Pride events yet?